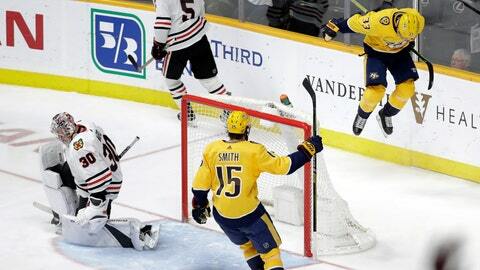 NASHVILLE, Tenn. (AP) — The Nashville Predators have proven they can finish a season almost as well as they start. NOTES: Fabbro now is the 181st player to score a goal in Nashville history. … Forsberg has 28 points (14 goals, 14 assists) in his last 36 games. … Nashville improved to 5-8-1 when tied after two periods. … Rinne tied Miikka Kiprusoff (623) for second-most all-time in games played by a goalie from Finland. … Nashville is 12-25-5 when allowing the first goal and 9-19-2 when trailing after one period. Predators: Open the playoffs at home against Dallas.